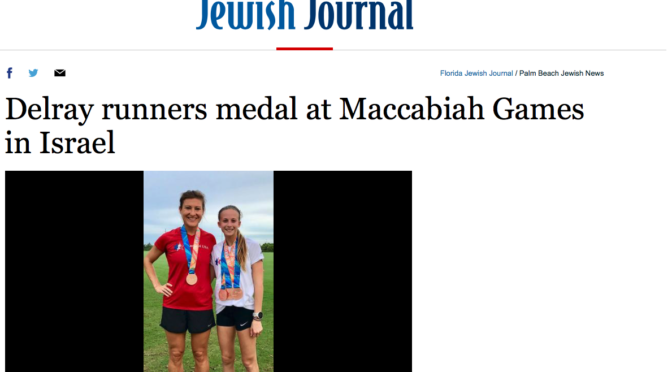 My friends at the Florida Jewish Journal (Randall Lieberman and team) always do such a great job covering the local Jewish scene, and the Maccabiah Games of course. 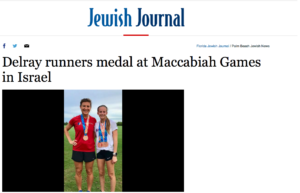 They did it again by recapping the 20th World Maccabiah Games with a story on me and Rylee Pustilnik, a junior track and field athlete and also a star member of the Spanish River Cross Country and Track teams. Read the full article below, which highlights both of our experiences in Israel and the bigger meaning of the whole games! 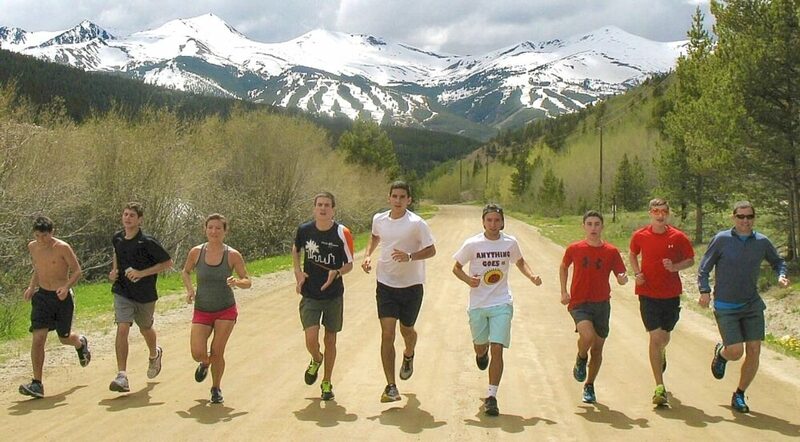 Rylee Pustilnik and Melissa Perlman are at very different stages of their running careers. However, the two Delray Beach women share in common winning bronze medals at the 20th Maccabiah Games (Jewish Olympics) in Jerusalem this past July. The Maccabiah Games is the third-largest sporting event in the world (after the Olympics and Pan-American Games) — with nearly 10,000 Jewish athletes representing about 80 countries competing in 45 sports in four distinct divisions: Juniors, Open, Masters and Disabled. Pustilnik, 15, won three bronze medals in the Junior Girls Track-and-Field competition in her first trip to Israel for the Maccabiah Games — placing third in the 800-meter run, the 1500-meter run and the 3000-meter run. Meanwhile, Perlman, 35, won one bronze medal in the Open Women’s Half-Marathon in her fourth trip to the Maccabiah Games as an athlete.